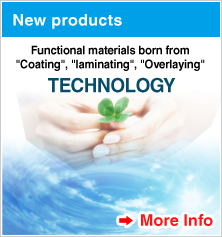 NIKKAN INDUSTRIES CO., LTD. | Nikkan Industries is an electronic material manufacturer with 80 years experience in a broad range of fields, including electronic materials, electrical insulators and packaging materials. 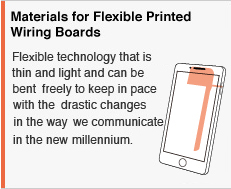 Flexible technology that is thin and light and can be bent freely to keep in pace with the drastic changes in the way we communicate in the new millennium. 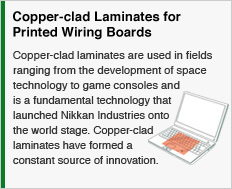 Copper-clad laminates are used in fields ranging from the development of space technology to game consoles and is a fundamental technology that launched Nikkan Industries onto the world stage. Copper-clad laminates have formed a constant source of innovation. 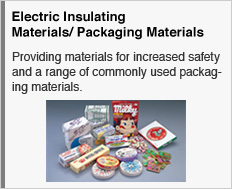 Providing materials for increased safety and a range of commonly used packaging materials. 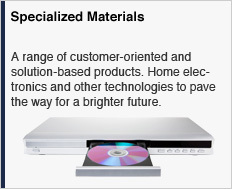 A range of customer-oriented and solution-based products. Home electronics and other technologies to pave the way for a brighter future. New Technology Development Division New Building “R & D Center” has been completed! An article about ATTRAN ® is appearing in BIOMATTER.